Sentimental Sue : It's Finally Here - The Pet Worksheet! It's Finally Here - The Pet Worksheet! Our pets are part of the family so of course they would be traveling with us on all of our adventures! Whether it is dogs, cats, birds, pigs, or whatever - they are all a vital part of our experiences. Some people travel with 1 and some people travel with 6! 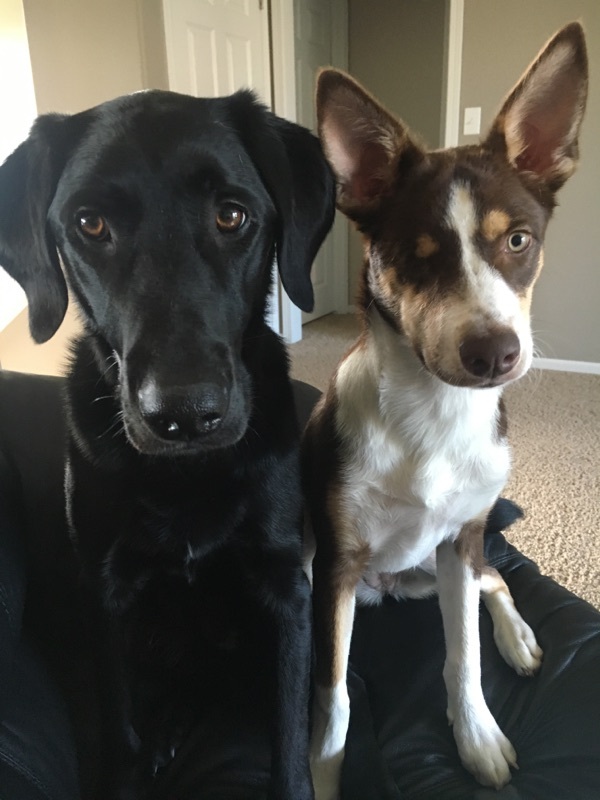 Our Grand-Puppies - Chief and Tris! Aren't they so cute? When we decided to start workamping and traveling, we lived on an acreage with a Chocolate Lab and two cats that were half-sisters. :) Those cats had two opposite personalities - Zoey was very cuddly and wanted to sit on your lap but Alley would only let you pet her for a minute or two and then she was off! The cats were free to roam the acreage but also came into the house when they needed some love or warmth. Our Lab lived outside and hung out in the garage on cool nights. 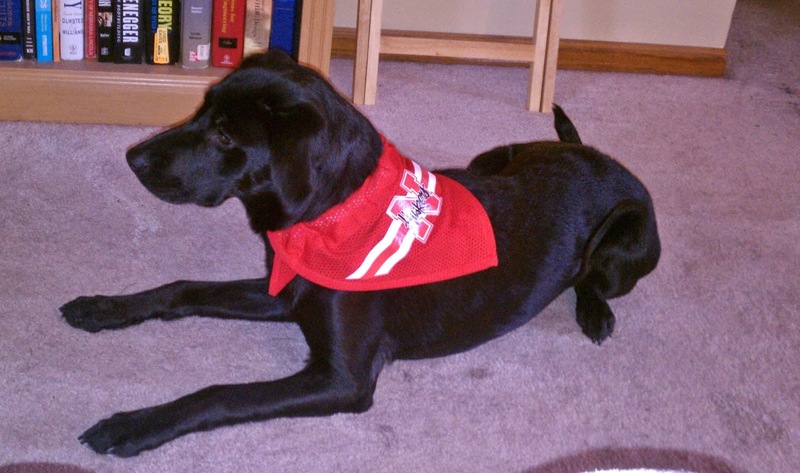 Unfortunately sometime before we actually sold the acreage our Lab passed away. The cats had lived on our acreage for 12 years and we just couldn't imagine keeping them cooped up in a camper. So when we went to sell the acreage it kind of came with the stipulation that the cats came with the house! It was a heck of a deal! Luckily for us our acreage was bought by a veterinarian! She already had a couple cats and gladly took care of ours also. I don't think we could have hoped for a better place for them to live! It was very hard to leave them there, but we believe it was the best thing for them at the time. Many people have requested a Pet Worksheet to keep track of all the necessary info for your special companion, so here is my version! If you have any additions or suggestions, please let me know! You should fill out one sheet for each pet.The first page has all the pertinent info. 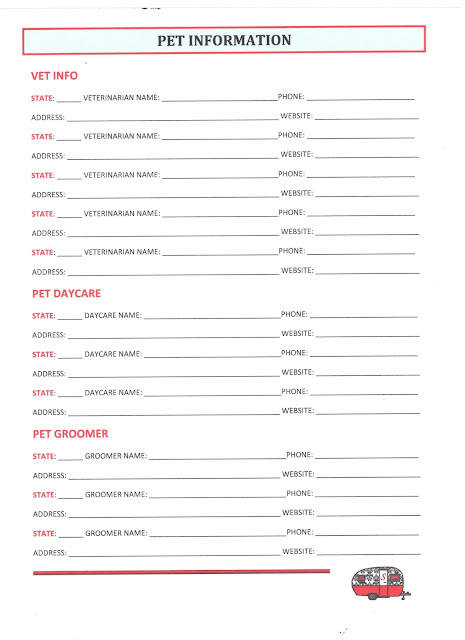 Fill out the Pet Name, Birth date, Breed, and your contact info as "Pet Parents." It would also be a good idea to attach a photo of your pet to this information as well - just in case of emergency and you would need a photo. In the Veterinarian Name and contact info, fill out your "home" vet info if you have a vet that has taken care of your pet most of the time or whoever you contact the most. 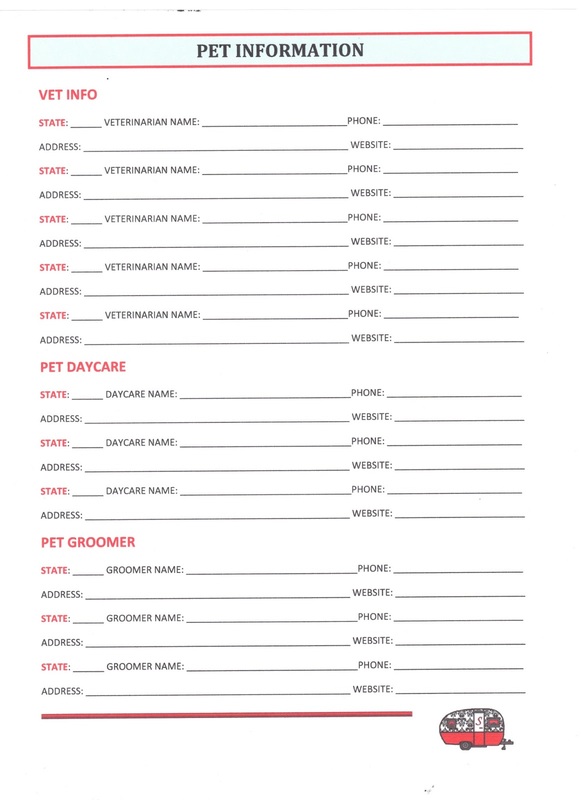 Also in Pet Groomer and contact info fill out your home groomer. In Case of Emergency Contacts should include family members or anyone who is familiar with your pet and their needs. This would also include the people that would take care of your pet if you would become ill or unable to take care of your pets. 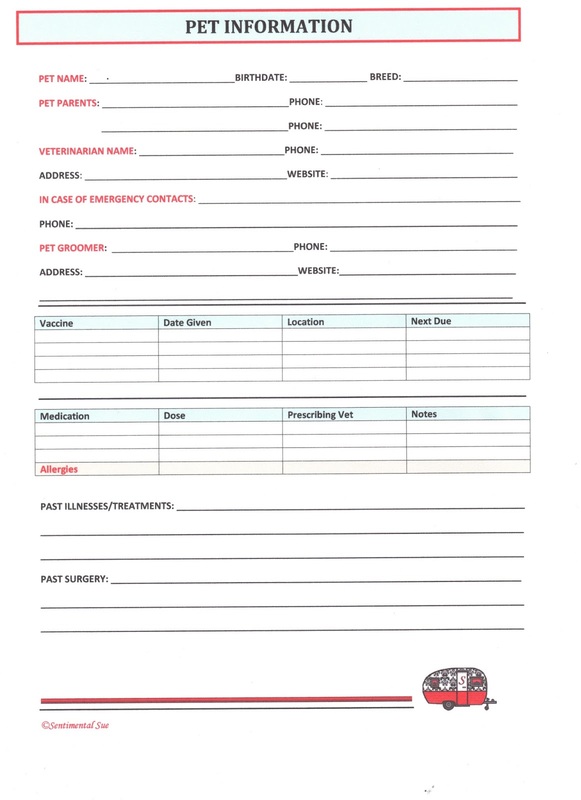 After you fill out this first page, it might be a good idea to give a copy of this info to your emergency contacts so they have the same information if needed. In the Vaccine Form fill out the type of vaccines, date given, location, and when they are due next. You should also keep the vaccine certification papers with you at all times as some RV parks require you to show proof of vaccinations, especially rabies. Documentation varies from state to state. In the next section fill out any Medications your pet may be on along with Allergies. It is good to document any Past Illnesses, Treatments, or Past Surgeries your pet may have had to include dates and the type of procedures, etc. Sometimes it's hard to remember exact dates and names of procedures so writing them down as they happen is a good practice to get into! The Second Page is to assist you in keeping track of the various Veterinarians, Pet Daycare's, and Pet Groomers that you may have used as you travel across the country. You can also use this sheet to look up these important contacts before you get to an area in case you need them in an emergency. It is listed with the state first to hopefully help you locate them easier. You can print out this page as many times as necessary. 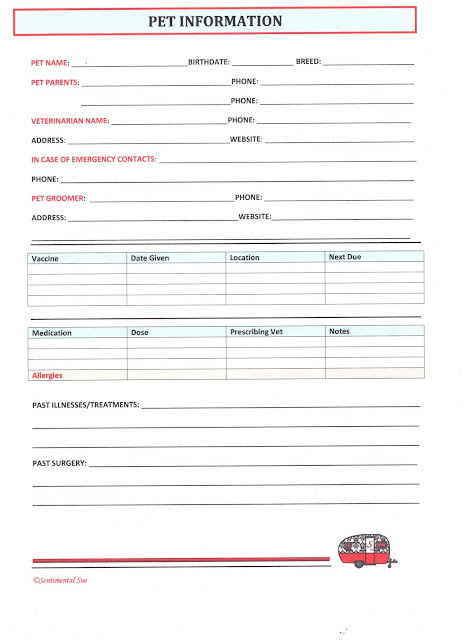 You probably will get some of this info each time you visit your vet so it is best to attach your visit forms to this main info sheet or keep them all in a file. You could also keep any training certificates you receive in a file with all of this pet information. I hope this helps you in keeping all your paperwork organized so you have it when needed to take care of your special family member! Thanks for reading my Blog and checking out my Worksheets! If you haven't signed up for the Worksheets yet, you can do so in the top right corner! This Blog and my Etsy Shop helps support our Workamper lifestyle! Please share with friends who may be interested!